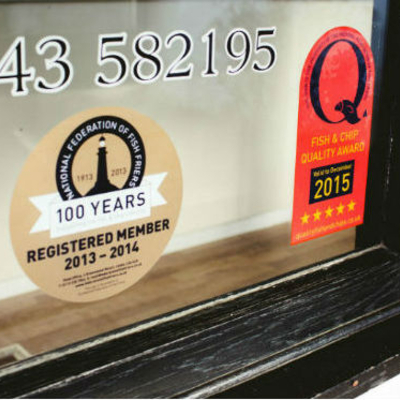 We are now an 'Award Winning' Fish & Chip Shop! Ye Olde Fish & Chippe Shoppe are proud to have been awarded the Quality Fish & Chips award. This national scheme recognises exceptional fish and chip shops throughout the country. We can now fry your fish in Gluten free batter! At Ye Olde Fish and Chippe Shoppe we can now fry your fish in gluten free batter. Great news for sufferers of Celiac disease as it is known.